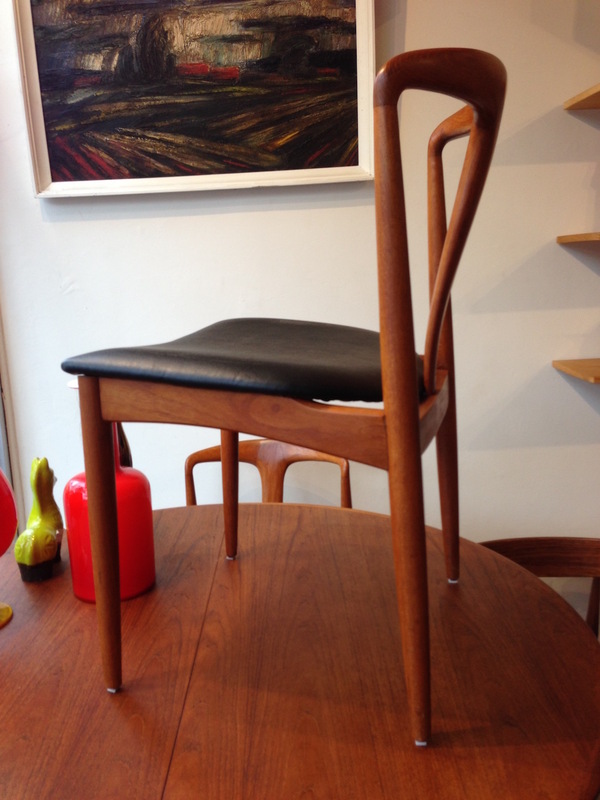 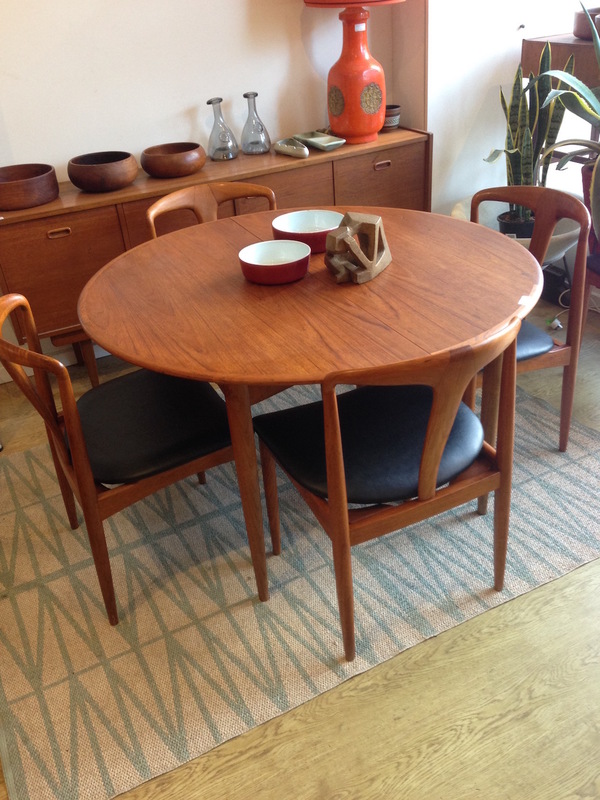 6 Beautiful Juliane chairs by Johannes Andersen in teak and black vinyl. 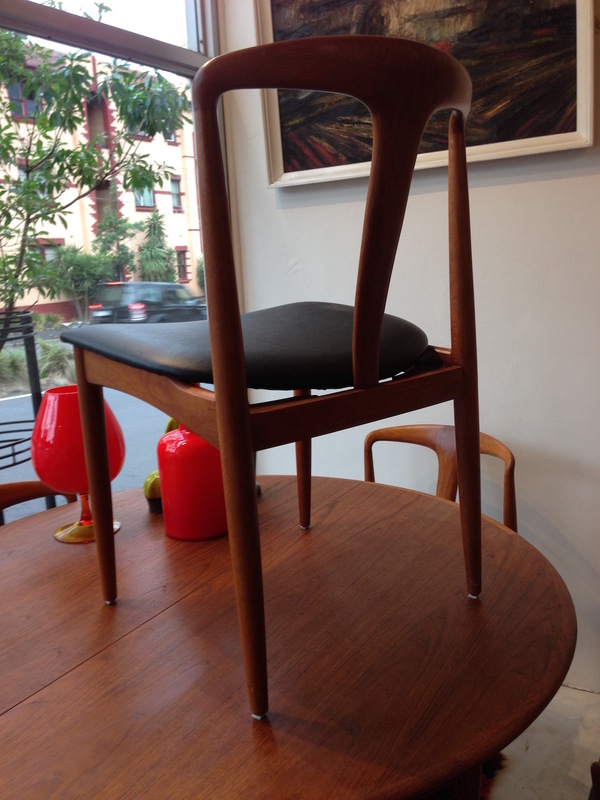 These are one of the most stylish Danish dining chairs and sit beautifully light in a room while retaining a generous amount of seating area for comfort. 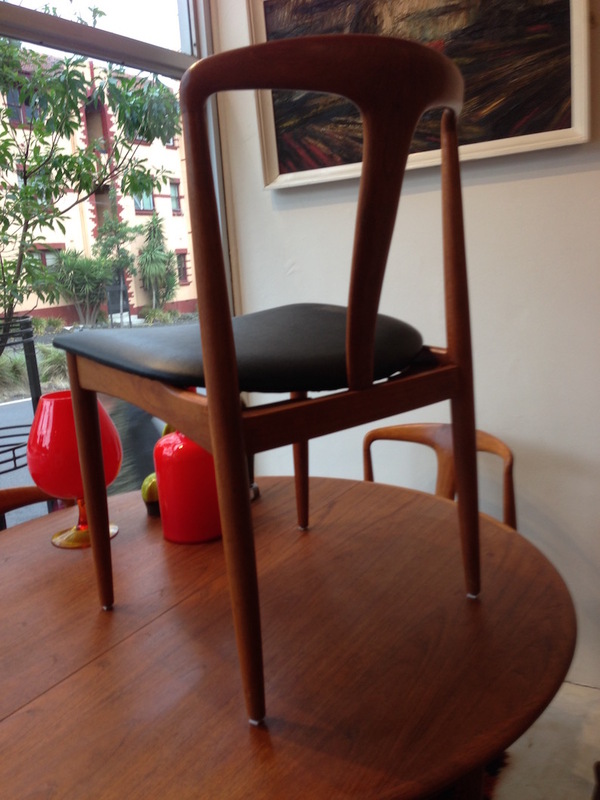 The seat pads have been recently replaced using a premium vinyl over quality foam. 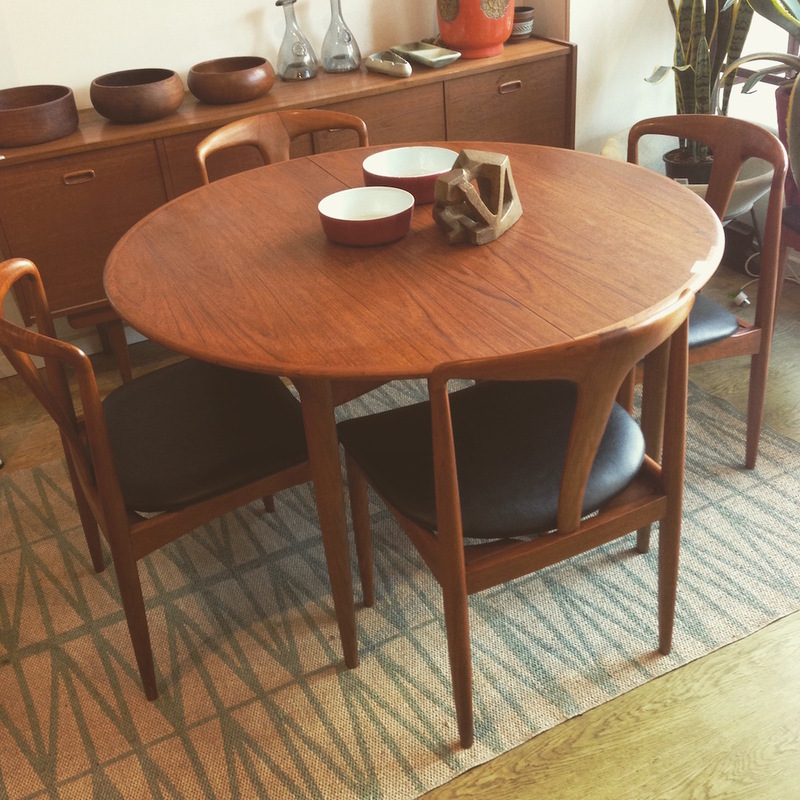 The extendable round teak Parker dining table is also available.